Welcome home to Discovery Ridge. 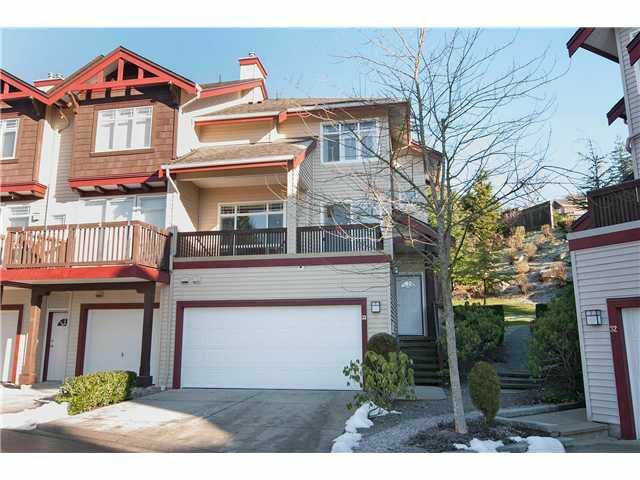 Enjoy south facing views from this 3 bdrm, 4 bath end unit that has 1771 sqft of living space on 3 fully finished lvls. Of all the homes in the complex this location is the most sought after & has one of the largest private backyards that incls a cement patio & wooden deck. The well appointed kitchen has loads of maple cabinetry & has been beautifully upgraded w/granite countertops/center isl&, s/s appls & a tiled backsplash. The main flr offers high 9ft ceilings, an eating area off the kitchen, hardwood flrs, custom built wall units, gas fireplace, 2 piece bath & a south facing balcony off living/dining room. The lower flr is complete w/ 3 piece bath & rec room (could be 4 bdrm) that is great for guests, teens, or just a private escape. Park 2 cars on the driveway & 2 in the side by side dble garage that incls built in cabinets & workbench. B/i vacuum system, alarm, near various schools & a fantastic complex that's recently been painted! Hurry!